Action Southland Towing is an Orange County based vehicle towing operation whose primary customers are local police agencies and private business owners. Action Southland Towing is a family owned business established in 1974. With over 40 years of experience in Orange County, Action Southland is well known as a reputable, time-honored company within the local business community. 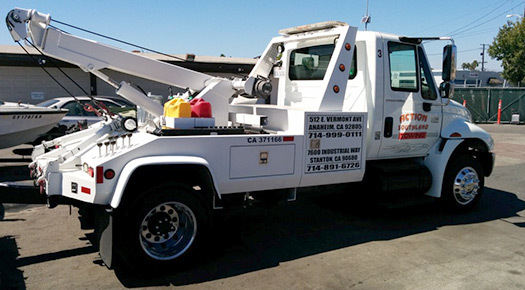 Action Southland Towing has several contracts with various agencies such as the Garden Grove Police Department, California Highway Patrol, the Orange County Sheriff’s Department, the City of Stanton and AAA. Action Southland Towing is an active member in the Orange County Chapter of the California Tow Truck Association (OCCTTA) as well. © Copyright Action Southland Towing 2019. All Rights Reserved.